The retail sector of our nursery ships plants direct to your house. Our parent company, American Native Plants, which grows these plants, is not open to retail customers. Provide nourishment and shelter to help things like honeybees and butterflies thrive! For best results try to use a range of different plants, with a succession of bloom times. Plant a rain garden in your yard to help accelerate drainage. Not only functional, but also beautiful. 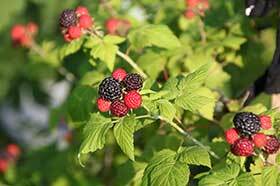 Some of our most attractive trees, shrubs, and perennials fall under this category. 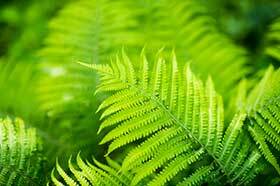 Transform the bare, shady spots of your yard into a lush garden with these shade loving plants. Utilize and beautify even the deepest parts of your yard. 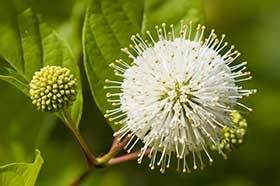 Add some excitement to your yard with these native plants that can be enjoyed in the kitchen. Many have multiple parts that can be used- fruit, leaves, stems, and roots. 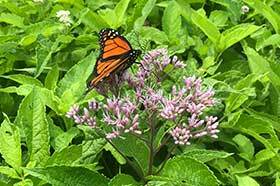 Why Use Direct Native Plants?